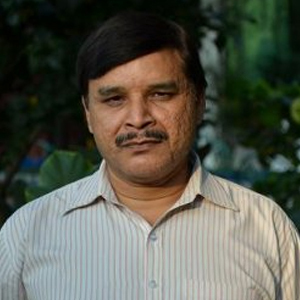 Mahesh Kumar, born on 05 January 1969, has been working at the CSH as Administrative employee since 01 January 1986. His responsibilities at the CSH are to scan, photocopy, and bind the documents. His duties also consist of maintaining the record of the couriers sent and received, while replying to the telephone calls at the reception. The administrative tasks handled by him are to help in the organization of Seminars by ordering water and other required commodities, preparing the name plates and name tags for the participants, and to order the visiting cards for the CSH staff after their approval.